Wine Reviews has setup a new online store and our first two products are CodeWeavers CrossOver Mac and CrossOver Linux. 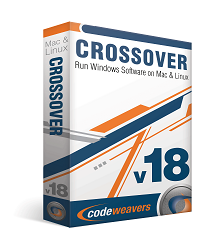 We are having a grand opening sale and the price of CrossOver Linux and CrossOver Mac is only $19.95 that's a savings of 66% off the normal retail price of CrossOver. A brief overview of CrossOver Mac and CrossOver Linux. CrossOver Mac is a powerful and useful Mac OS X application that enables you to easily install and run the desired Windows productivity applications or PC games on your Mac with just a few mouse clicks. The best thing about CrossOver Mac is that you can enjoy various Windows software on your Mac at home, in the office or at work without purchasing a Windows license. In other words, you do not have to go to the trouble of installing a Windows virtual machine or creating a Boot Camp partition on which you can install a Windows copy. The fact that you do not need to reboot your system to logon on a different operating system or share your resources with a Windows virtual machine translates into a faster and smoother application usage. 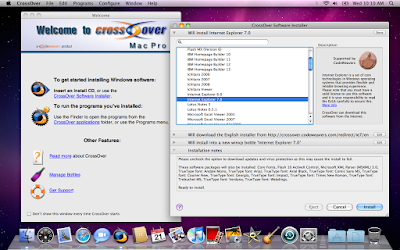 CrossOver Mac comes with support for a long list of Windows programs and games, you can visit CrossOver Mac’s support page and view What Runs on CrossOver. 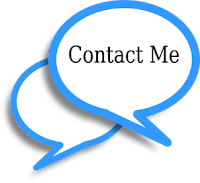 Additionally, you can access the CrossOver Software Installer and search for the desired application using the built-in search form. What is more, you can configure CrossOver Mac to install certain programs or games via specific installers and into the desire Bottle. The Installation process will guide you through the necessary steps to deploy your software. CrossOver Mac is easy-to-use and kind to your Mac’s resources, and provides a simple and clean user interface. From CrossOver Mac’s main window you can choose between two simple options: “Install Windows Software” and “Run Installed Software”. As expected, the first option takes you to the above mentioned CrossOver Software Installer window from where you can install the programs you need while the second option enables you to run the installed programs. CrossOver Linux is a commercial product that provides Linux users with an easy way to install various applications and games that run only on the proprietary Microsoft Windows operating systems. Technically, the application is a GUI (Graphical User Interface) front-end for the well known Wine software, which provides a set of APIs and libraries to emulate several Microsoft Windows OSes on top of an open source Linux-based operating system. By default, the program comes with support for a very large selection of Windows applications, allowing users to install and use them without the need for a Microsoft Windows license. However, this does not mean that you won’t have to own a specific software license. It is distributed as a binary packages that support the Ubuntu 16.04 LTS or older distributions, Ubuntu 12.10 or newer, Linux Mint 14 or newer, Debian GNU/Linux Wheezy or any other distro that uses Debian packages, as well as Red Hat, Fedora and other RPM-based operating systems. Considering the fact that CrossOver is just a simple user interface for Wine, it comes with support for all the applications that can be installed by the latter, such as the entire Microsoft Office 2010/2007/2003/XP/2000/97 suite, including Microsoft Word, Microsoft Excel, Microsoft PowerPoint, Microsoft Outlook, and Microsoft Access. 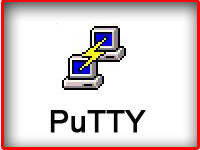 Among some other Windows-only applications that can be installed by this software, we can mention Internet Explorer, Microsoft Project, Adobe Photoshop, Lotus Notes, Microsoft Visio, Quicken, FrameMaker, Shockwave Director, QuickTime, Windows Media Player, as well as numerous games.